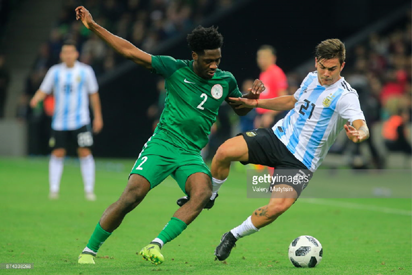 Nigeriaâs manager, Gernot Rohr has admitted that the June 26 match with Argentina at Krestovsky Stadium, St Petersburg will be a difficult one. The Nigeria coach told an Argentine publication, OlÃ© that he anticipates that the encounter will be a classification match. The publication reported that Rohr spoke with Argentine radio station, Radio Rivadavia. Rohr reportedly remarked that the match will determine who follows who. In essence, he is projecting that both Argentina and Nigeria will emerge from the Group D and the last match will only determine t he group leader and the runners-up. The runners-up face a potentially difficult Round of 16 match with projected Group C leader, France. The French side eliminated Nigeria at that stage four years ago. Rohr has a link with the French, even though he was born a German. A substantial part of his adult life has been in France; hence he is often described as Franco-German. His dream may be to be the Group leader as Nigeria did in 1994 in a group that also had Argentina. On the South Americans, Rohr reportedly remarked: âYou know how we play, so we cannot surprise them like the last timeâ, referring to the 4-2 defeat Nigeria inflicted on Argentina two months ago. He acknowledged that this time it will be more difficult to beat the Sampaoli as they did in the friendly at Krasnodar Stadium, Russia.